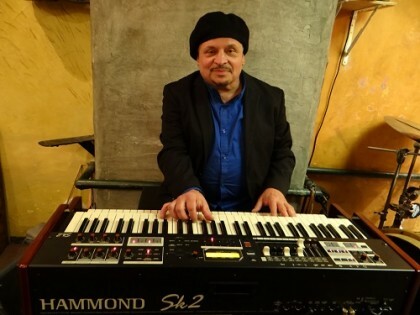 Soulful Hammond B3 organist and proud owner of the Sk2, Lonnie Gasperini has taken his organ passion to another level. As a professional musician, Lonnie has always chosen Hammond and Leslie products including the SK2, XK-3c, B3, A100 and several Leslie speakers. Lonnie’s unique blend of Funky Soulful Jazz with Gospel and Rock roots has made him in demand nationwide and across the East Coast from NYC and New Jersey to Boston and Rhode Island. He has opened and performed with artists such as Lou Rawls, Joe Lovano, Percy Sledge, Dr. Lonnie Smith, George Benson, Melvin Sparks, Dianne Reeves, Jimmy McGriff, Wynton Marsalis and Harold Jones to name a few. Lonnie’s first album was recorded with the Rock group Cannabis which toured nationwide in the late 1960’s. Lonnie played the Hammond B3, Farfisa and Fender Rhodes. He has several albums including “Turn Up the Gas” and “North Beach Blues” which was recorded at the famous Purple Onion in San Francisco. He is featured on a myriad of other Cd’s including Thurman Barker’s “Rediscovered”. Thurman is a professor of Jazz at Bard College who has played and recorded with Cecil Taylor and Sam Rivers. Lonnie’s original tune “Witch Doctor” was recorded by Dr. Lonnie Smith on his Palmetto release “Jungle Soul”. Lonnie’s itinerary is always full and he looks forward to his West Coast and Japan tour. In his spare time, he hosts Organ Jazz Workshops throughout New York City and New England for children from 5 to 18 years of age. Lonnie continues to compose music and is working on his newest CD planned for release in early 2014.